If you know that allowing more light using the hardware in your hand is more of a viable option than getting new camera with higher ISO ratings then my friend you are doing photography the Right way. For you Nikon 50mm f/1.4 D AF is a swift tool for shooting in just about any type of available light. 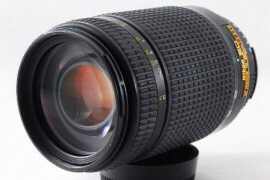 It is considered Nikon’s Sharpest and Fastest lens with reasonable price. Even at wider apertures this lens gives accurately in-focus images of active subjects with its super fast Auto-Focus. It has always given me a beautiful, natural background blur (Bokeh) when i wanted to isolate my subject from its background. Bokehlicious. This Prime lens is a compact and lightweight companion for most cameras except that it wont autofocus on the cameras lacking the integrated auto-focus like D3100, D5100 and D5200, since it doesn’t have any internal auto-focus motor in itself. It is a multi-purpose lens for low light photography and video recording. 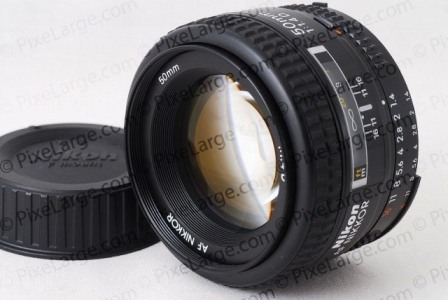 As a prime lens is expected to be , this Nikkor has fixed focal length of 50 mm on a FX format camera. 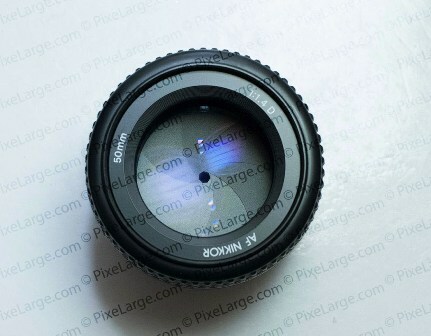 On a DX format camera it gives the angle of view of 75mm lens due to the Crop factor. I always suggest getting a 35mm or 28mm Focal length for the dx versions if you need the 50mm look. 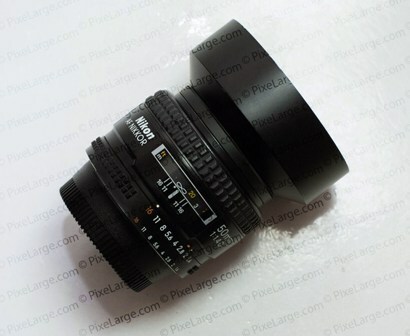 This lens has a maximum aperture of f/1.4 and minimum aperture of f/16. Manual control of aperture can be done with making smooth adjustments to the Aperture Ring which comes with a lock switch to keep its position in place. The diaphragm has seven standard straight blades stopping down to f/16. These diaphragm blades render fourteen point stars on bright points of light. Its easy to get that 14 pointy Sunstar through this lens sharp optics. Though not every body wants sharp point stars but if you do then this is going to be another bonus. This Nikkor has a metal mount which gives durability and strength to the lens. Though i won’t suggest holding your mounted camera with the lens. Lenses never get outdated like camera bodies so make sure you take care of your everlasting gear like you want them to last. 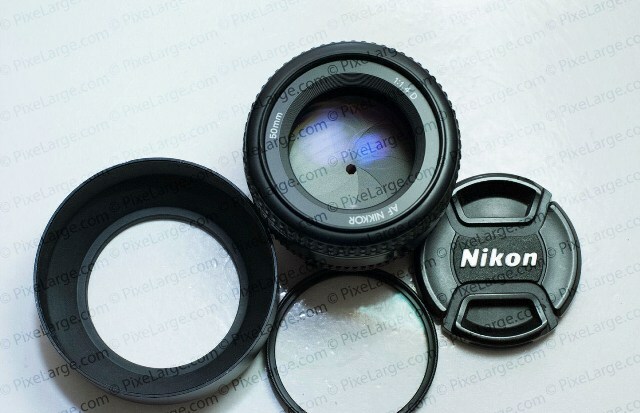 Nikon 50mm f/1.4 D AF is constructed with 7 elements in 6 groups built into dense high quality plastic barrel, making it a decently small and light package. Focus ring has a ribbed rubber covered feel.There is a handsome amount of travel in the focus ring, from close to infinity focus.There is a hard infinity focus stop present. Aperture ring is plastic made ,complete with a lock switch to stop at f/16. 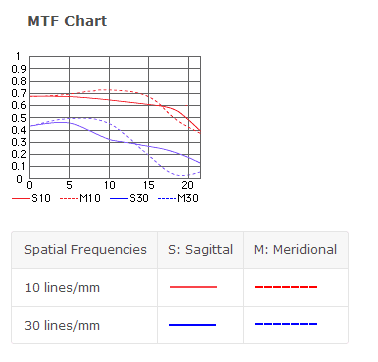 On the barrel Distance scale is featured under a clear window, marked in feet and meters. A depth-of-field scale is also present, depicting ƒ/11 and ƒ/16. An infrared index is also present. 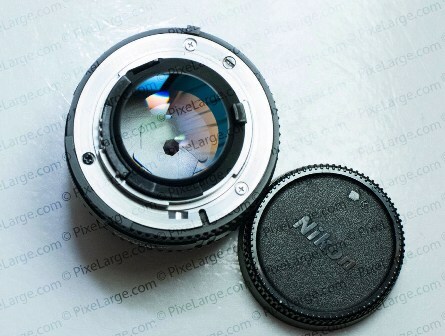 Nikon HR-2 rubber hood (not in the package) is a circular-shaped hood that screws onto the lens’ filter threads and offers improved resistance to flares and ghosting along with extra protection to front element. It is sold separately. Filter/attachment size is 52mm.It is a plastic filter thread. The front element does not rotate so using a polarizer is sans any problem since attached filters on the filter thread not not rotate during focusing. Approximately 64.5 x 42.5 mm(2.5 x 1.7 inches). It extends an additional 7.35mm when focused at closest distance of 1.5 feet (0.45m). 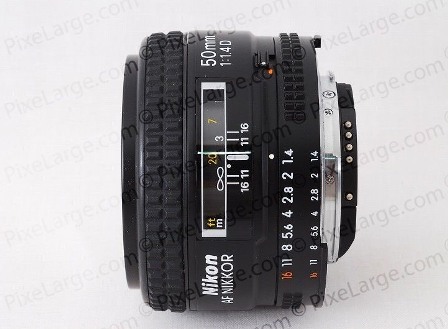 This Nikkor’s Nikon 50mm f/1.4 D AF weighs approximately 230g (8.1 oz. 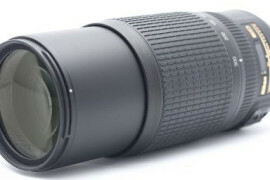 ), its feather-lite for a lens. 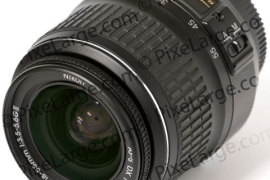 As i mentioned above, the closest focusing distance for this Nikon 50mm ƒ/1.4 AF-D is 0.45 m or 1.5 ft. It uses the body-mounted screw on the camera to drive the autofocus, meaning it will not autofocus on screw-less Nikon bodies such as the D40, D60, D5000 and D5200.The lens has no internal AF motor and relies totally on a slotted drive screw operated by the camera itself. 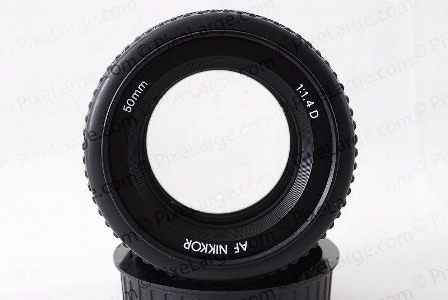 Its small rubberized focus ring operates very smooth while manual focusing. The auto focus mechanism is admirably fast and accurate though there is a little amount of noise during auto-focus operations. The Bokeh (effect of isolating the subject from the background in the natural looking blurry background) is pleasant as i observed the results from this wonderful lens. I would say this lens is good for portraiture because of its nice focusing and bokeh properties. To sum the sharpness quotient, the lens offers incredibly decent performance wide open,and beyond , we get consistently optimum results.Especially when we reach f/11 , there is excellent combination of contrast and resolution. At f/1.4 there is some softness that can be attributed to the spherical limitations but when we move further down the f-stops, all we get is amazingly sharp images. 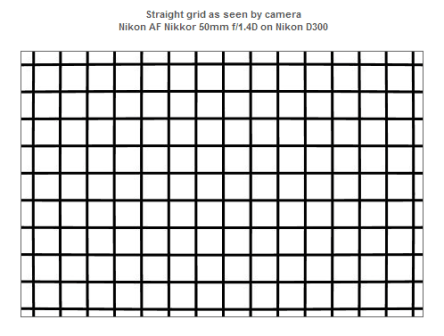 Dark corner shading isn’t significant in Nikon 50mm f/1.4 D AF, especially at smaller apertures light falloff is negligible even in the Fx format cameras.. There is moderate vignetting at the maximum aperture of f/1.4 but it eliminates when we stop down to f/2 and further. This lens offers exceptional resistance to chromatic aberrations (color shadows at harsh contrast transitions),these aberrations are very low at large aperture settings but increase a little when stopping down. Flares are pretty controllable by use of filter and hood. Distortion on this lens is nothing to worry about, its the bare minimum that is anyway present on most optical designs.And whatever distortion is present , it can be corrected in post-production. 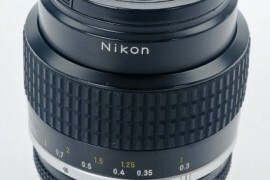 The Nikon 50mm f/1.4 D AF provides high-contrast and amazingly sharp images even with large aperture settings. It shoots in challenging conditions of only available light because it is fast enough for nearly any sort of light. Its the hero for low light photography with its wide aperture and the desired 50mm look. This lens helps to capture the subject of a portrait for achieving spectacular background blur (bokeh) very well. Its super fast Auto-focus and ability to capture shallow depth of field coupled with its compact and lightweight characteristics makes it highly recommended for keeping as a travel companion on your dslr or film camera. It is admirable choice for portraits in available light. Its one of my most used lens and a sure recommendation from me. Go grab one to use your buddy Dslr on its full potential. 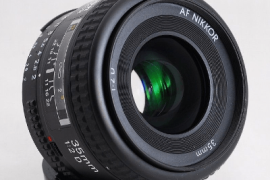 Although now it has been replaced with the newer Nikon AF 50 mm f/1.4 G AF-S but one must know that this lens held its top position for over a decade and is still a more desired and cheaper alternative to the newer model which is just marginally ahead in terms of performance. If the price for even the second hand version of this lens feels like a budget spoiler to you then i would recommend the cheapest yet one of the sharpest and well performing Nikon 50mm f/1.8 D for you. And trust me it not more than a feet behind in the race for image quality. Making good photographs is the job of the person behind the camera-lens system and not the responsibility of the equipment, which are merely the means to the cause.But having a good equipment at your disposal is a blessing . 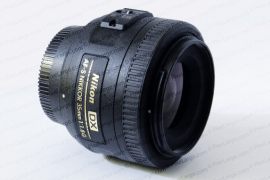 Summary: The Nikon 50mm f/1.4 D AF is a swift tool for shooting in just about any type of available light. 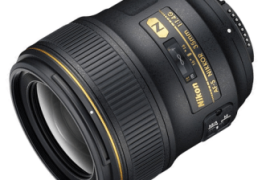 It is considered Nikon's Sharpest and Fastest lens with reasonable price.